Some 85 million mobile phones have been discarded rather than traded in for cash, according to a UK consumer group. A small poll of 853 people found 68% said they had kept one or more old phones that they did not use. 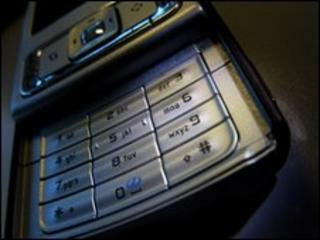 Government-backed Consumer Focus said that these phones could be sold, recycled or sent to charity. But it warned users to wipe any personal data from the mobile before handing it over, by going to the "settings" menu on the phone. "We discard millions of phones every year with one in 10 admitting they simply put their old handsets in the bin. These are sophisticated bits of kit that can still be used or recycled," said Hannah Bullivant of Consumer Focus. "By throwing phones away, we are wasting huge amounts of money and adding unnecessarily to our landfill mountains. "Anyone with an old mobile should shop around for the best second-hand deal. There are now a number of second-hand price comparison sites that can be found with a simple internet search." In April, telecoms regulator Ofcom said that mobile phone customers could see cheaper bills from 2011. It has proposed cutting the cost mobile phone firms can charge for connecting a call from another network from 4.3 pence per minute to 0.5p by 2015. Ofcom has also issued new rules to make it quicker and easier to switch mobile phone providers.